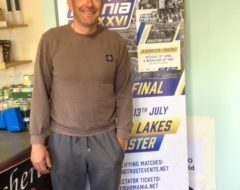 Wow – new World Champions were crowned at Rutland Water this weekend. We welcomed 16 teams from across Europe, the USA and South Africa to fish in the 11th FIPS-ed Carnivorous Artificial Bait Boat Angling Championships. Following two days of official practice the teams faced strong southerly winds in unseasonable warm conditions on Saturday. Day one saw Lithuania in the lead, followed by Estonia in second and Czech Republic in third. Day two on Sunday was very wet, but less windy and there was a turn in fortune for some teams. On Sunday evening at the closing ceremony and medal presentation victory went to Estonia with the Czech Republic in runner up spot and Latvia in third. England were placed 14th. To coincide with the World Lure Championships we offered taster sessions in both lure and fly fishing. This was a great opportunity for visitors to enjoy a free coaching session, learn how to fish or brush up on their skills, and was open to all ages. 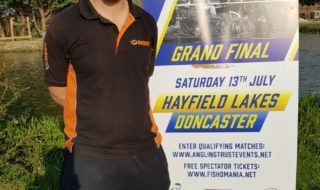 This was run with the support of Rutland Water Fly Fishers and the Pike Anglers Club of Great Britain, in association with Anglian Water. Midweek boat winner: L Cook of Amesbury. Beginners courses: 20 & 27 October. George Moore Memorial Trophy (rudder) 27 October. 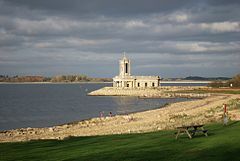 The fishing at Grafham this week has been fantastic with many anglers catching their bag limit and we have a high rod average of 5.06. Bank fishing has improved drastically, particularly with shrimp feeders, with many spotting large brownies cruising around amongst the rainbow trout. Anglers are reporting a lot of differing styles and methods; lures coupled with sinking lines, washing lines with midge tips, washing lines on floaters and intermediate lines with smaller lures all being commonly mentioned. Shrimp patterns, hares ears, small black lures, diawl bach with red, larger red dries and daddies are all reported to be working well, though a hares ear with silver flash is definitely worth trying over the coming days. Good areas include the dam, G marker, Deep Water Point, Pylon Point and off west bank, though many areas are holding fish again. 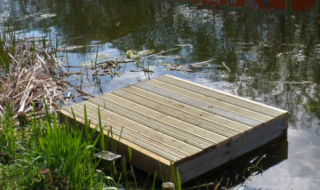 Midweek boat winner: Stephen Brocklebank. A huge Brown trout of 14lb 4oz was caught by predator anglers, the fish being released in good condition and swimming off strongly. Midweek boat winner: Ron Blackwell. Pitsford Fur & Feather 10 November (boat).